Your card creation is just precious Sassy ... NOT a thing wrong with it! LOVE your design and the coloring on this precious image is PERFECT!!! Put a smile on that beautiful face of yours and know you are loved!! This is just adorable and I love the fussy cutting around the sweet girl. Your card is gorgeous Sassy. 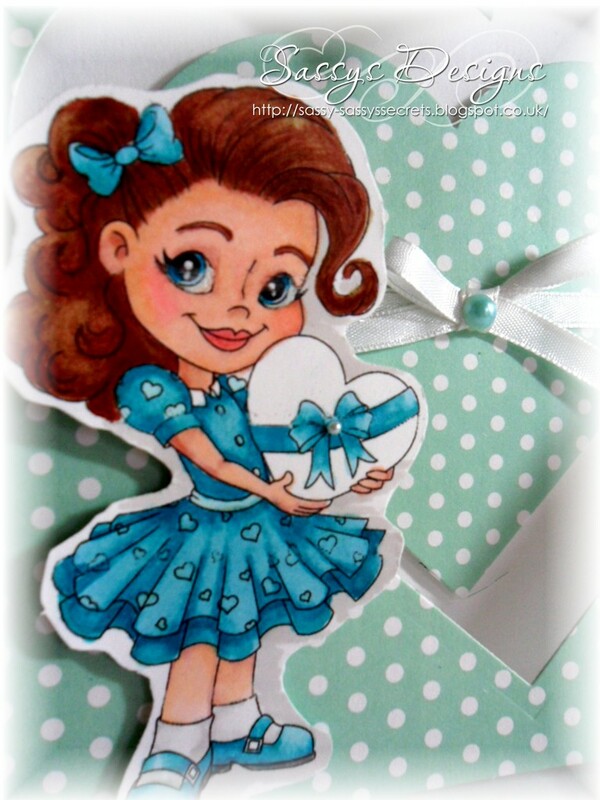 I love the sweet image, fabulous colouring and a great design too. This is adorable Sassy, I like the image the card design and the colours. 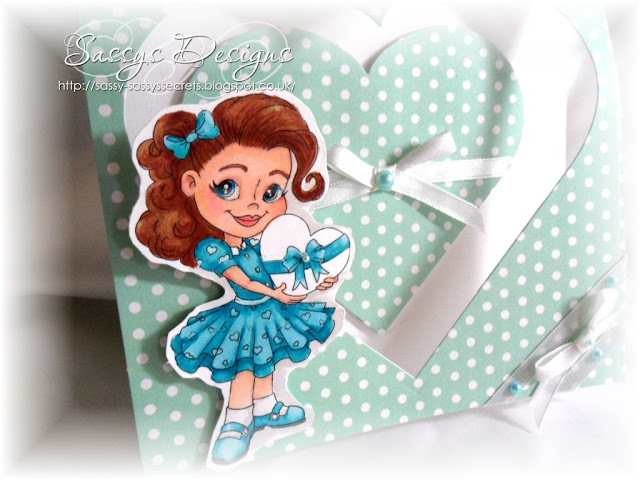 Your card looks great Sassy, beautiful colours and a cute image! Hope you have a great summer so far! Dear Sassy, I am so glad you are back, so I can finally design with you! Your card is fabulous for the challenge, and believe me - it's awesome. What a sweet card Sassy!! Great card and so good to see you back!